We work hard to build the deck or porch that fits your needs and vision. Whether it’s for your custom home or your own personal home, our standard of excellence and quality is the same. We are professional installers with over 20 years of experience in our field. With our knowledge and expertise, we will help you choose the best quality materials for the job. We work with trusted brands like Fiberon, Trex, and Yellawood—backed by warranties and rigorous manufacturing standards to build what you need. From composite decking to real cedar, we know what works best for what you need. Staying up-to-date on the latest code and material regulations is important to us. We are a member of The North American Deck and Rail Association, the Greater Atlanta Homebuilders Association and the Cobb County Chamber of Commerce. 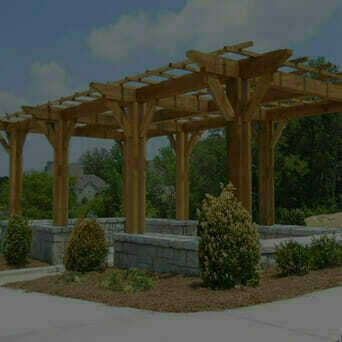 Contact Decksource today for your deck, porch or special construction needs in Smyrna, Ga. Charities and missions in the surrounding areas such as The Drake House, Home Aid Atlanta and Brockbuilt Homes that benefits Children’s Healthcare of Atlanta are causes that we actively contribute to, both monetarily and personally. When you choose us for your Smyrna, Ga deck builder, you also choose to help these great organizations. Excellent service, using quality materials and ensuring a beautiful outcome are only part of who we are. We know the people we serve and the community we live in is the foundation of our company. Allow us to be your trusted choice for building your deck or porch, today. Smyrna, or Jonquil City, as it’s also known, is a city in Cobb County, located about 10 miles northwest of Atlanta. Pioneers started to settle in this region in 1832. Then, at the end of the decade, a religious formation called Smyrna Camp Group became a popular destination and was famous in all of Georgia. They took the name from the Biblical city of Smyrna. The town was known by a lot of different names for a while, such as Varner’s Station, Deal Dow, or Ruff’s Siding until it was officially incorporated with the name Smyrna in 1872. The city has about 50,000 residents, and the latest demographic information shows the area is predominantly young, and have a higher per capita income than other towns in the region. Today, the city of Smyrna is exceptionally active, with many leisure opportunities and touristic attractions that gather a lot of curious visitors to the area every year without fail. One of the best regions in the city is the Market Village, the heart of the downtown and a real focal point to anyone new in Smyrna, with loads of restaurants, cafes, and shops that catch the curious eyes.